Open@Work is a joint initiative aiming at connecting LGBT+ people and support networks across companies. The three main goals of this initiative are: building a cross-company network, focusing on ‘out in the workplace’, joining forces in creating an inclusive work environment for the LGBT+ community, and exchanging good practices on LGBT+ and ally company networks. Wednesday, 5 June 2019: A breakfast discussion with Alexander De Croo, Deputy Prime Minister of Belgium and Minister of Finance and Development Cooperation on Mr. De Croo’s new book: ‘THE AGE OF WOMEN. 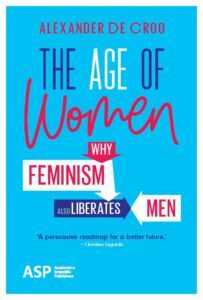 WHY FEMINISM ALSO LIBERATES MEN’. © 2018 LEGAL DIVERSITY & INCLUSION ALLIANCE.